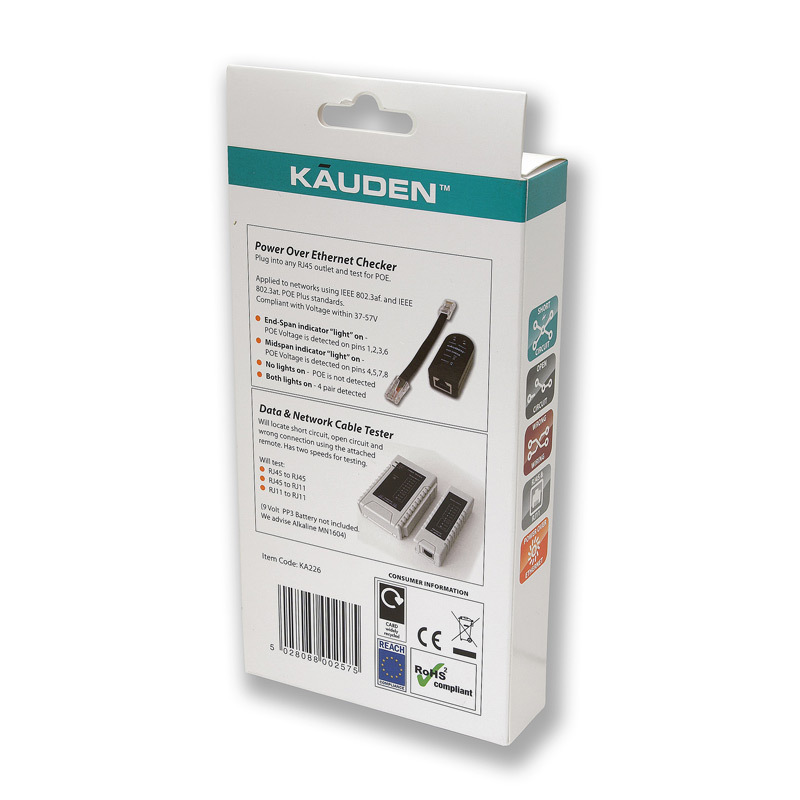 This KAUDEN™ tester kit contains a Network Cable Tester with separate Power Over Ethernet Checker. 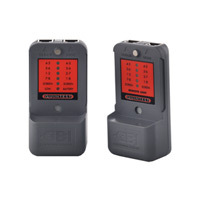 The Network Cable, or LAN, continuity tester will locate short circuit, open circuit and wrong connection using the attached remote unit. There are two speeds for testing. The tester confirms connection and pin out status Cat5e, Cat6, at6a and Cat7 RJ45 based systems and also covers RJ11 and RJ12 based systems. 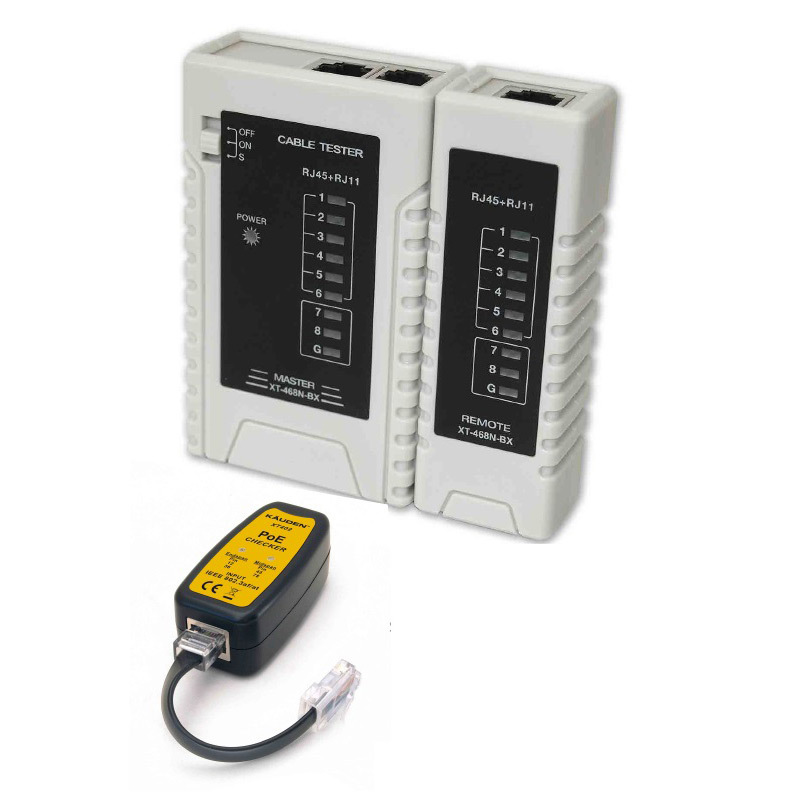 The POE checker enables engineers to ascertain the presence of live Ethernet cabling in buildings at the RJ45 port or wall socket. 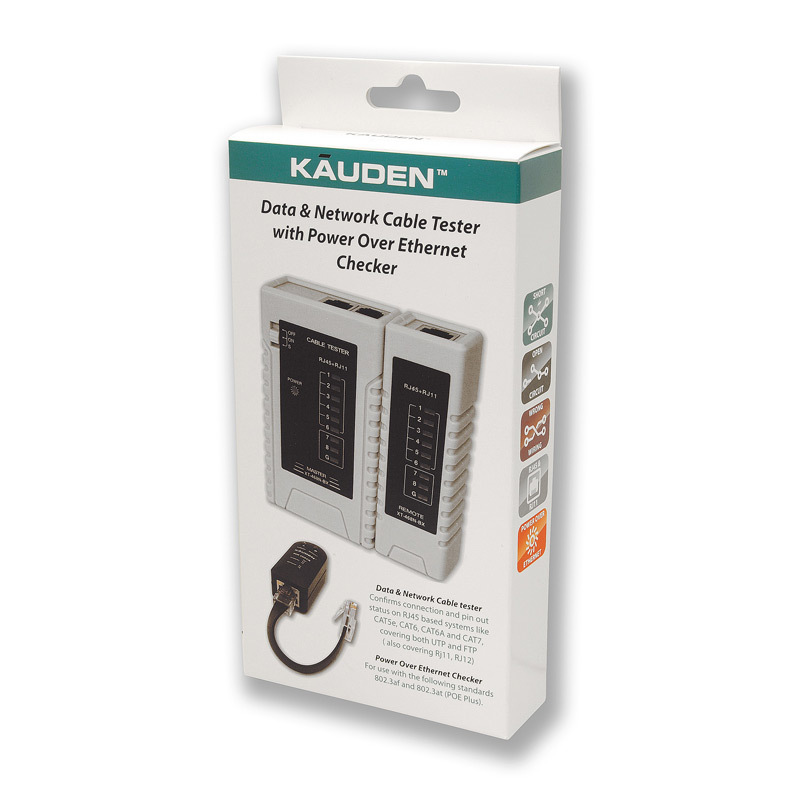 The POE Checker comes with detachable RJ45 lead and is for use with 802.3af and 802.3at (POE Plus) standards.